Paradise Palms specializes in palm tree planting and care. Our product selection includes: Palmetto, Pindo, Windmill, and Agave plants. 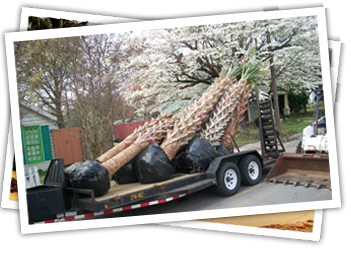 Our services include: Palm Tree delivery and installation, cash and carry, Palm Tree pruning, and free estimate are also available. We provide full service Palm tree installation and care instructions as needed to suit our customers need. Items needed to wrap your Palm tree….Ladder (if needed) Burlap cloth, thin rope(1/8″) Duck tape, and safety pins. Our products are grown to optimal size in the warm climates of Florida, South Carolina and coastal North Carolina. Through our established business relationships we acquire top quality trees and plants shipped to our location at optimal size. Although, Palm Trees have successfully grown in Raleigh for years, we are pioneers in the Palm Tree business in this area. As a locally owned and operated company we provide top quality Palm Trees and plants at an affordable price. Additionally our customers are able to personally select their perfect trees and plants for their needs.